Magee Gammon Blog Uncategorized Congratulations Mr. and Mrs. Perfect! Congratulations Mr. and Mrs. Perfect! 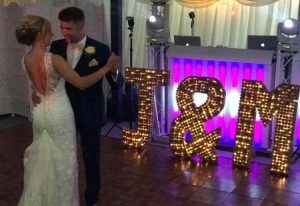 Huge congratulations to Megan Clitheroe and James Perfect who tied the knot on Saturday. The day went without a hitch and both bride and groom looked amazing, you truly are Mr. and Mrs. Perfect!